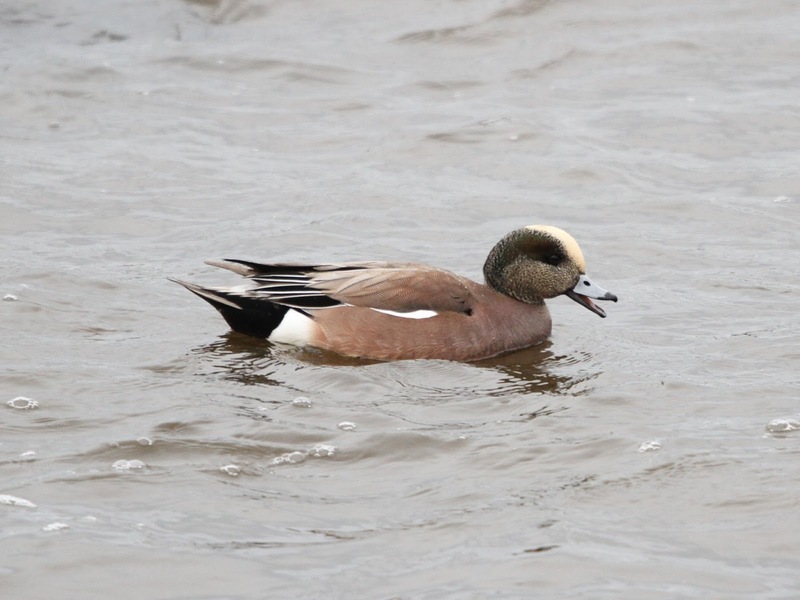 The drake AMERICAN WIGEON remained at Scalby Mills throughout the day where it often showed well feeding close in at times. 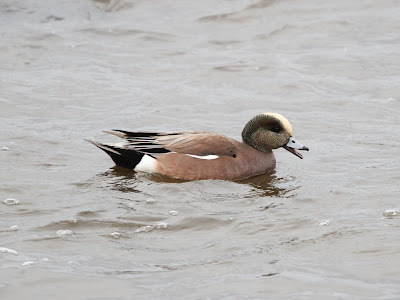 Also at Scalby Mills there was a female Pintail and Kingfisher while a Stonechat was seen on Scalby Nab. The first Black-throated Diver of the year was found in Cornelian Bay where there were 2 Red-throated Diver, 2 Knot and 3 Ringed Plover. Six Mediterranean Gull were at Holbeck, 2 Goosander were at the Mere, 100 Lapwing were at Harwood Dale and 2 Black-necked Grebe and an Eider were around the Harbour.